Galloway Township Police interviewed GallowayTwpNews.com Publisher regarding an on-going investigation. The interview which occurred on July 31, 2013, was conducted by Captain Chris Doyle and Detective Sergeant Donna Higbee. The interview, with permission, was recorded by GallowayTwpNews.com Publisher. We intend to release that recording along with other details involving cooperation by GallowayTwpNews.com Publisher with Galloway Township Police and also with other Law Enforcement Agencies regarding several criminal investigations. **Please note, GallowayTwpNews.com Publisher is not the subject under investigation regarding any of these investigations with which we are cooperating. A full story is anticipated to be released by Monday night. Check back for details. That spells trouble for the Mayor. I knew it. Bye bye Donnie. That spells trouble for all of Galloway. If anyone has balls to do it it is her. Take them down. Normally I chastise the publisher for teasing a story and not putting the facts. I think we already know what's going on with this but I am happy to see she is cooperating with the police and finally taking out the crime that's has filtrated through our town for years. November is a fresh start with a new party. The mayor needs to go. I hope the publisher told the cops everything that happened over the past 3 years. Many could end up in jail. If I were the Chief I would sever ties with the Mayor fast. Something tells me even if the Publisher was subject of an investigation it wouldn't go far. I think she knows way to much that a deal would trump all. This obviously has nothing to do with council or the Prosecutors office would be handling due to the conflict. I think if other law enforcement agencies is listed in the article, then Prosecutors office is involved and I bet so is council. The publisher should tell us that. I will divulge that the Atlantic County Prosecutors Office is one of the other "Law Enforcement" agencies, due to a conflict with the local police department on one of the investigations. Other details will be released when the full story is published, anticipated by Monday night. Only took the publisher 2 years to finally cooperate with ACPO. Someone had to piss her off for her to finally napalm Galloway. I hope that Terry Lucarelli is pulled into this. She and her husband should also be investigated. Purdy should just make amends with Tilton. The more the two continue to fuel their hatred with law enforcement and frivolous lawsuits the taxpayers will suffer. It's not only Purdy. The republicans in this county are the ones at fault for Purdy's demise. They just want more and more money from the unions which infiltrates the horrible politics. From the top of Davis down to the Mayor of Galloway, all need to be investigated. Davis's firm is appointed as special council only to resign because now they are adverse in a planning board application that cold result in that firm suing the township. Now, Purdy hires his personal attorney, only to most likely be conflicted out when Purdy needs Jacobs to represent him personally in a criminal investigation. Lets not forget the President of the GTRL is now the attorney for planning board. Why hasn't the democrats called upon Purdy to resign, if not for anything, just for using his office and power in getting friends contracts. Eventually his buddies on council, Tyrrell and Coppolla will learn they need to step away from Purdy to stay clear of his latest mishap. maybe just maybe this action might get the train back on track (Galloway)one can only hope . A appeal to Mayor Purdy if one can be made. Stop wasting my tax paying money on your personal vengeance against people. If you have a fued then use your own personal money. You are one person but there are over 30,000 tax payers that suffer from you vengeful choices. This town has had so much negative publicity for a lifetime. Lets get this town back on track with or without you in office. We need our services back and our taxes to go down. If you can't do that then I ask you step aside and let someone else in that can. Enough of these personal contracts with your professional buddies and stop using those others to attack people on your behalf. We live in a big but small town that the rumors are nasty of what you are doing. Grow up and begin working with the residents. Not against us but using our money to satisfy a personal vendetta. You people sound like a bunch of cry babies that had something not go your way and now are pissed off about it. Quit crying, worry about your own families and taking care of them. greed is a dangerous tool and always has been a problem with no matter which party in in control in Galloway Twp. We the people pay enough taxes and should be living large in Galloway not just the ones kissing politicians butts! Yeah...we're all crybabies because we don't want our elected officials conducting themselves in questionable ways. What part of moving towards making sure the town you live in is being run properly doesn't embody worrying about your own family..?..Sounds like you are worried about your family or friend being exposed, shamed and ousted. If it's not your family you ought to pick your friends more wisely. You can say Liston is a puppet or lapdog all you want but in every town he has worked in he has put someone behind bars for doing something wrong. I question how is it over a year in office and Liston has yet to put Purdy behind bars? Why is a reporter from a website cooperating with police in turning over goods on these guys. Isn't this backwards? Shouldn't the reporter be reporting how the Manager cleaned house of corruption? Because she knows everything they have done wrong!!!!!!!!!!!!!!! I heard Purdy was calling upon friends to see what this article was all about. LMFAO, yeah Donnie, I think you already know buddy. Pack your bags and tooth brush for about 10-20 years. dear liston supporter, liston put people in jail, or prosecutor's office put people in jail? what corruption did liston clean up in Galloway ? Regardless of who did what and who didn't, this "investigation" has nothing to do with Mayor Purdy. @ Anonymous at 10:28pm. The Full Story will be released shortly. 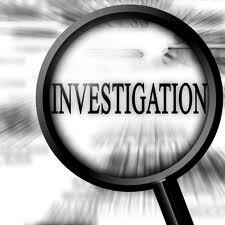 However, a investigation does involve a current Elected Official in Galloway!